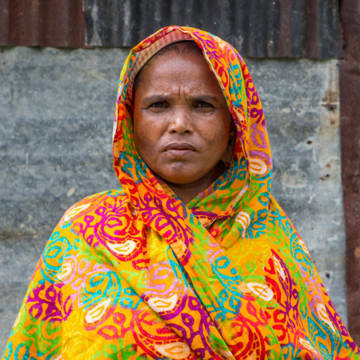 Find out about the human rights defenders your donations to CAFOD are supporting. These brave women and men are activists, lawyers and community leaders who promote and protect human rights. Who or what is a human rights defender? Human rights defenders are people who, individually or with others, act to promote or protect human rights. They are community leaders, lawyers, activists, journalists and bloggers. They are often working in conflict or post-conflict zones, and they are defending the rights of the poorest and most marginalised. Blessed Oscar Romero, whose centenary is on 15 August 2017, was a human rights defender. His refusal to be silenced cost him his life. What rights are they defending? Human rights defenders work to promote and defend a vast array of rights and freedoms. These include the right to take part in society and politics, environmental rights and social justice. They are active citizens just like many of our supporters in England and Wales. They are campaigning for a safe place to live, safe water to drink, or demonstrating about climate change. Speaking out on these issues wouldn’t put your life at risk in the UK, but for many of the community leaders and human rights defenders we support, speaking out is a dangerous job. What risks do they face? Defending human rights can be a very dangerous activity in many of the countries where we work. Human rights defenders exposed to the most risk are often those working on land, indigenous and environmental rights. They can face threats, harassment or arrest. Our partners have also been killed for this work. In 2015, two Colombian human rights defenders supported by CAFOD were killed. In 2016 more than 280 human rights defenders were reportedly killed around the world. The actual figure is likely to be even higher. Threats and attacks not only impact human rights defenders, but also their friends and families. Women human rights defenders who speak out can often face threats and risks to their physical security and that of their families. Where and how is CAFOD supporting human rights defenders? We support human rights defenders across the world, including in Latin America, Asia, the Middle East and Africa. The majority of human rights defenders work at the local or national level, supporting respect for human rights within their own communities and countries. In over 75 per cent of the countries where we work civil society faces some kind of restrictions. Many of the local organisation we work with are threatened, stigmatised or face legal difficulties. Despite a peace deal with the FARC guerrillas, there has been an alarming increase in attacks against human rights defenders in Colombia, particularly against community leaders, and land, peace and environmental activists. According to Colombia’s Ombudsman (Defensoria), 186 human rights defenders were killed between 1 January 2016 and 1 July 2017. Juan (not his real name) is a student from Cajamarca in Colombia. He is a member of COSAJUCA, a youth and student collective working to protect the environment, which is supported by our partner, Tierra Digna. COSAJUCA played a crucial role in a referendum that took place in Cajamarca on 26 March 2017, in which 98 per cent of voters said “No” to mining in the municipality. “The great achievement of the environmental movement in Cajamarca is that we’ve shown that defending water and territory is something everyone cares about. Yet despite this, we continue to be threatened and attacked,” says Juan. Speaking out to protect the environment is extremely dangerous in Colombia. On 28 July 2017, shots were fired at two members of COSAJUCA. Neither member was injured by the gunshots, but their lives and those of Juan and other colleagues continue to be at risk. Only days after the referendum, on 30 March 2017, a death threat against human rights defenders and organisations that participated in the referendum was sent by telephone to a communications company. A few years ago, two members of COSAJUCA were killed - Juan Camilo Pinto (2013) and Daniel Humberto Sanchez (2014). No one has been held accountable for these killings. Our partners are bearing witness to the suffering and injustice they see in their communities, and we must to the same.